The families of a missing Alberta couple are resuming the search for them and their Mooney aircraft seven months after the aircraft is believed to have gone down in the mountains of B.C. Dominic Neron and girlfriend Ashely Bourgeault disappeared on a flight from Penticton to Edmonton last Nov. 25. The initial search was conducted near Revelstoke, where the last contact with a cell tower was recorded but the new search by volunteers will move to an area east of Enderby. During the winter, which saw record snowfalls in the area, family members phoned airports and aviation-related entities on the path of flight. They spoke with people at the Mabel Lake Airpark who saw the Mooney just before dark on the day it went missing. A hunter also reported hearing what he thought might be a plane crash about the same time. 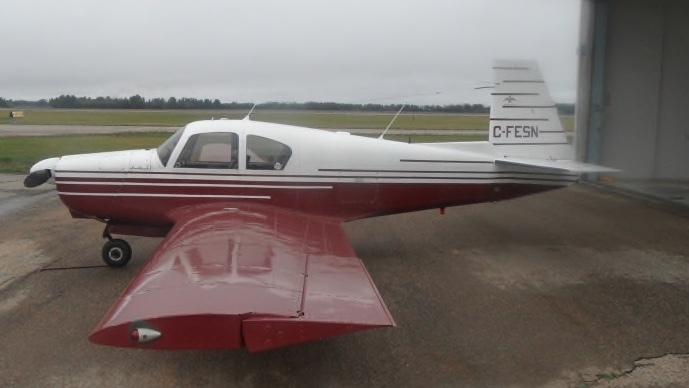 Pilots flying in the area are asked to keep an eye out for wreckage and anyone with any information can call Neron’s sister Tammy at 780-405-7649 or email at tammy_neron@hotmail.com.